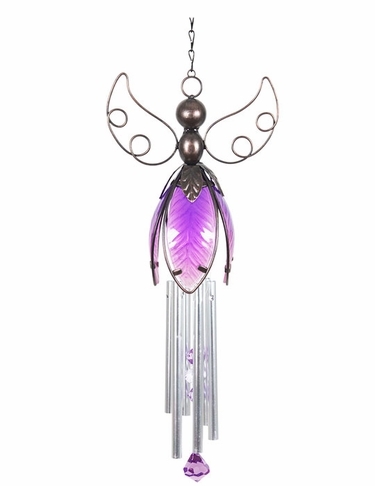 Our sweet new Metal & Glass Skirt Angel Wind Chimes will watch over your flowers and bless are your garden home and visitors! Hand painted and UV treated to resist fading, this angel chime comes ready to hang and enjoy! Size: 6.25" x 3.5" x 14.5"H, Metal & Glass.